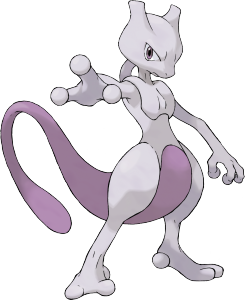 Mewtwo is my Favorite Legendary PKMN, but she also has one of the saddest beginning stories in the PKMN series, and the rest of it has been a variety of ups and downs. However, I like to think that lately, Mewtwo’s life has taken a turn for the better, and here’s why. In PKMN X and Y, Mewtwo was given the ability to Mega Evolve into not just one form, but two separate forms, with one per game. There was Mega Mewtwo Y, a pure Psychic-type with the ability Insomnia and an impressive 194 base Special Attack stat, perfect for dolling out Psystrike after Psystrike. 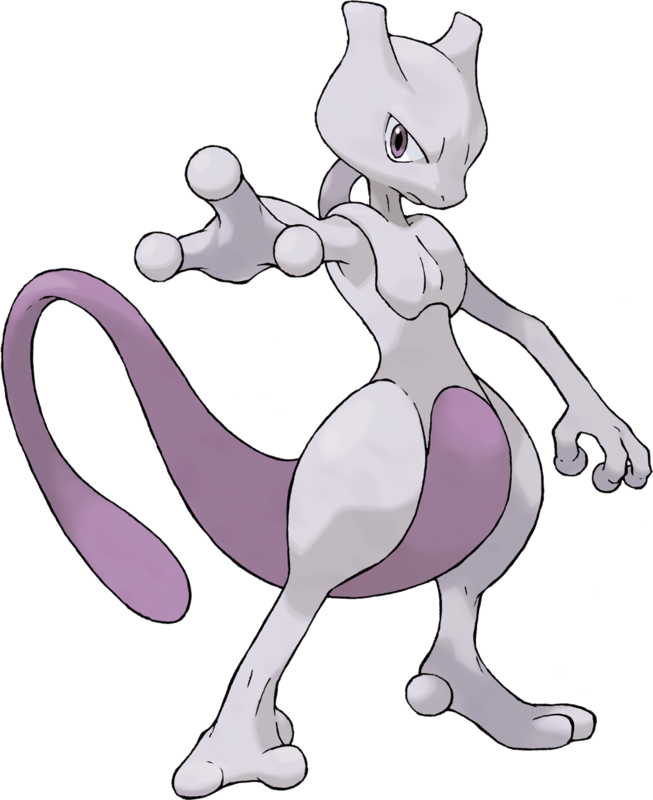 Then there was Mega Mewtwo X, a Psychic and Fighting-type with the ability Steadfast and an Attack stat of 190 that compliments the physical side of Mewtwo’s movepool very well. 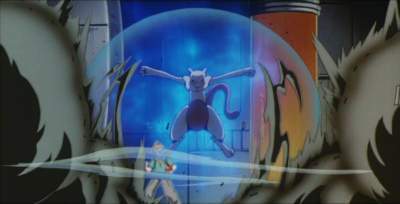 Of course, now that there were two different ways to Mega Evolve Mewtwo, there had to be a way to catch Mewtwo, right? Otherwise the Mega Evolutions would be useless. And so Nintendo made it that in PKMN X and Y, you can catch Mewtwo in a little cave in the Pokémon Village, right off the forest outside of Snowbelle city. The day I caught Mewtwo was quite the day. It was a difficult game of trying to lower her health, while still managing to keep her alive. 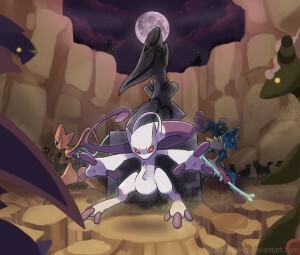 The battle was even harder because Mewtwo simply has a capture rate of three. A PKMN with a higher capture rate is easier to catch, and a PKMN with a lower capture rate is significantly harder to do. So, let’s just say that three was no longer one of my favorite numbers. It took me so many Ultra Balls (one of the strongest Pokéballs out there) I don’t even remember. However, I was both stubborn and determined to catch Mewtwo, and finally I did. And boy, what a thing that was. I traveled with Mewtwo, helped her grow and become stronger, eventually getting her to level 100 and helping her learn her signature move, Psystrike. We traveled together, learned together, and trusted each other. I know it might seem a little smug, but I like to think that because Mewtwo was re-released and trained by so many trainers, that her life has really changed for the better. The beginning of her story, it’s really rather sad and horrible. Mewtwo was an accident, in the barest sense. She was created by Team Rocket, and what she was supposed to be was a perfect re-creation of Mew, made from the PKMN’s eyelash. However, it was discovered that, though they did have Mew’s DNA, they didn’t have enough DNA to make a pure, stable clone. Instead, one scientist named Blaine took some of his own human DNA and injected it into the half-finished Mewtwo, while in turn injecting some of Mewtwo’s DNA into his own body. With the inclusion of new, more stable genes, a new PKMN was born. 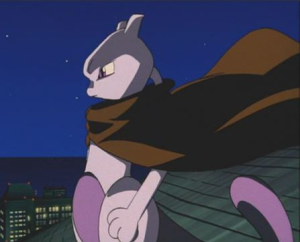 Mewtwo rose, and became the brute and puppet of Giovanni, leader of Team Rocket. Giovanni housed Mewtwo in a suit of armor that controlled her actions and regulated her psychic power, thus rendering her completely under Giovanni’s control. For a time, that is. Oh, by the way, before we continue I should make something clear. Mewtwo is actually genderless, but I’ve been calling it a her because, even though it was voiced by a man in the first PKMN movie (literally, the first), it was voiced in the most recent movie by a woman. 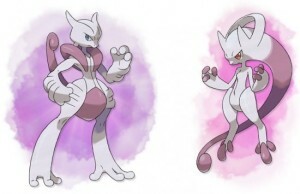 Also, I prefer Mega Mewtwo Y to Mega Mewtwo X, and Mega Mewtwo Y looks like a girl to me. Mewtwo is a living being, and she was consciously aware of her captivity for her entire life. She became sick of her imprisonment, her captors, even the human race in general, Mewtwo finally broke free of her bonds and escaped to the outside world. The first thing he did after his escape (I’m referring to Mewtwo now as a male because we have come to the topic of the first movie), was hurry to a secret island and hide away, inventing his own kind of cloning machine that could recreate PKMN almost completely. The next thing he did was invite all of the strongest PKMN trainers around to the mansion he built on his secret island, and- well, I’ll stop there, I wouldn’t want to give away spoilers. If anyone wants me to tell them the rest of the plot, please contact me via the Contact form in the header at the top of this post. 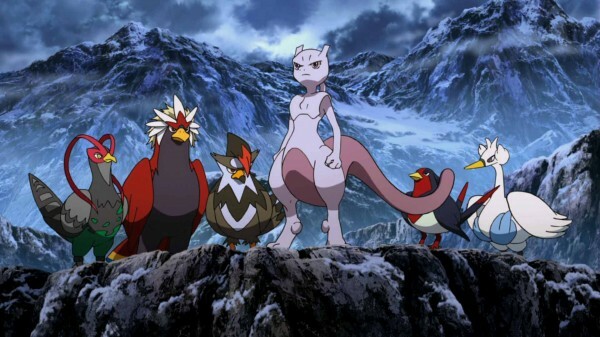 Anyways, after the resolution of the events in the first movie, Mewtwo went out on a new journey of self-discovering, trying to find where she (switching back to her gender in the second movie, as we have now crossed into that area of her life) fit in the world. Eventually, she discovered the PKMN Village, a place where PKMN abused by people and displaced by our growing population could find refuge. There, Mewtwo was able to find a place where she felt like she truly belonged. Then, of course, the entire plot of Genesect and the Legend Awakened unfolded, which led to a bunch of stuff I won’t tell you about because this movie’s stream-able on Netflix and really cool, so if you want to know what happened you should watch it for yourself. Afterwards, she once again went back to the PKMN Village, where I assume she stayed until she was caught by trainers around the world in PKMN X and Y.
Mewtwo has very impressive stats, what with a Special Attack base of 154, and a Speed base of 130. Certainly more impressive than an average PKMN. Unfortunately, Mewtwo can’t be used in online competitions unless they’re very unique ones, but that shouldn’t stop you from getting one of your own. I personally love Mewtwo, there’s a reason she’s so high up on my list. In my mind and in my heart, she and I have gone on more adventures than I could ever tell you, and because of that I feel like I have a real bond with this PKMN I will never be able to ignore. 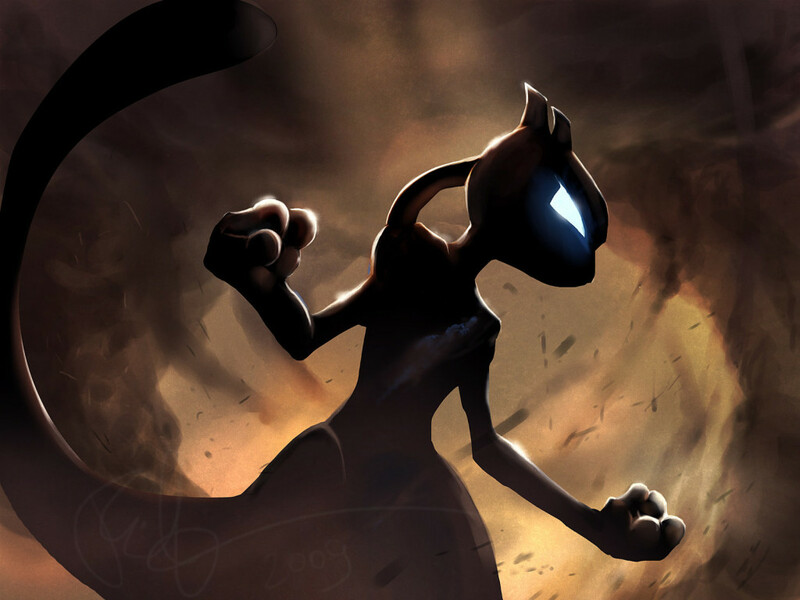 Others may not find her to be the greatest, they may find other legendaries to be better than Mewtwo, but in my mind there is just no legendary better than Mewtwo. My next Pokémonth post shall be my last for the year, friends, so until next time, merry Pokémonth! Man, Mewtwo was freakin’ boss in that first movie. That movie, in combination with Super Smash Bros. Melee, is the main reason why Mewtwo is one of my three favorite Pokemon. The other two are… similar.